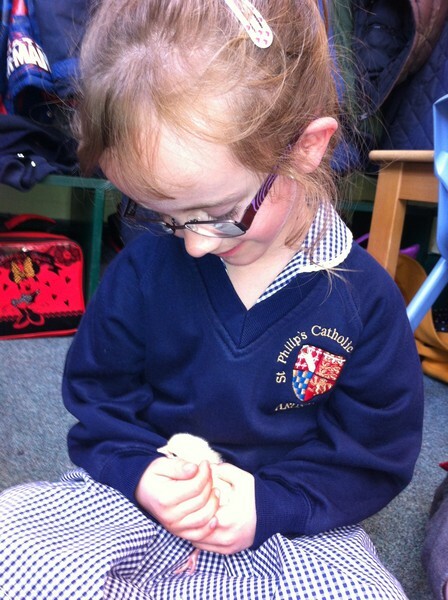 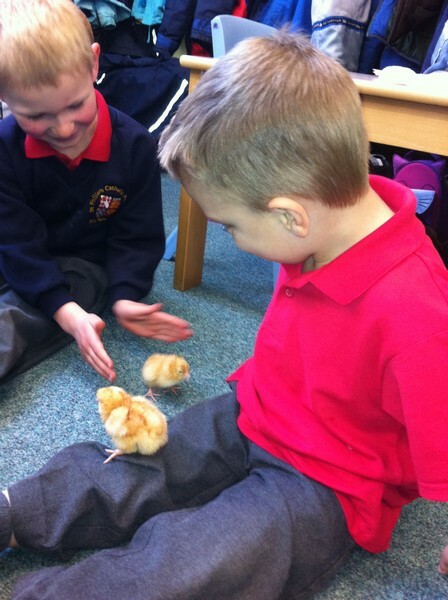 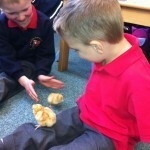 Reception class has twelve new additions – t he chicks, which all hatched successfully, are growing bigger by the day and enjoy a constant stream of visitors both child and adult! 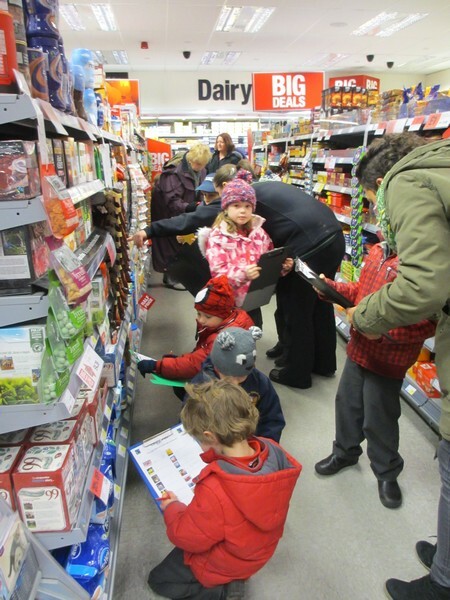 As a school we recently celebrated Fairtrade fortnight and Mrs Bridges arranged for Year 1 to visit the Co-op in Arundel in order to appreciate the wide variety of Fairtrade products now available. They had a brilliant time and quickly took over the shop! 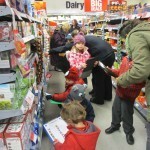 Thank you to the Co-op for agreeing to host this event. 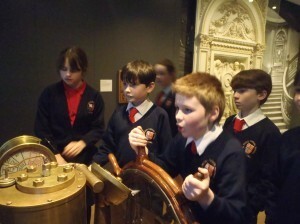 School was very empty on Monday 11th March as four of our year groups were on topic-related trips. 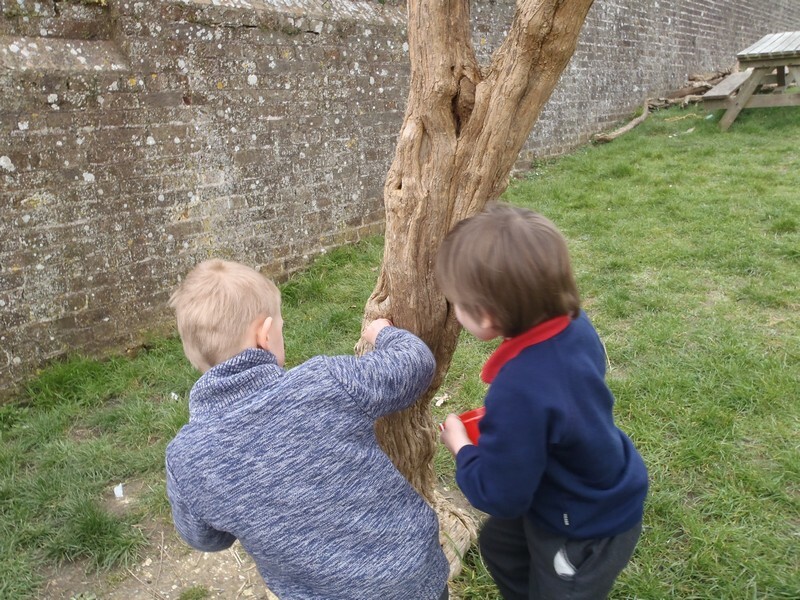 Years 3 and 4 braved the snowy weather to travel to the Weald and Downland open air museum at Singleton. 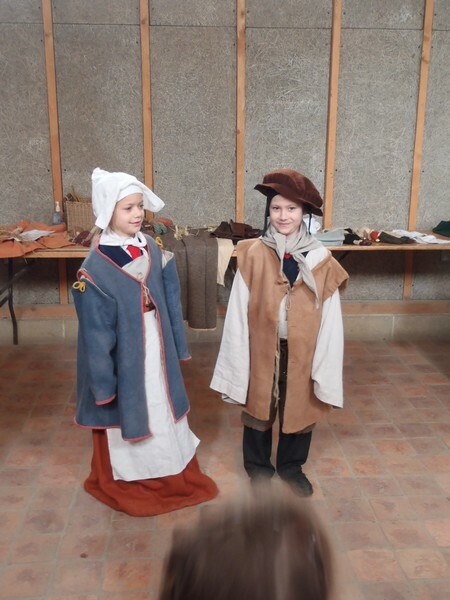 As part of their topic on the Tudors they took part in workshops looking at food, medicine and clothing. 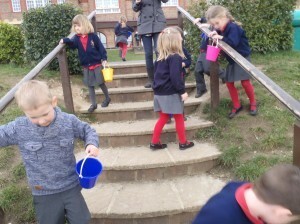 They all had a wonderful time and didn’t let the weather spoil their day! 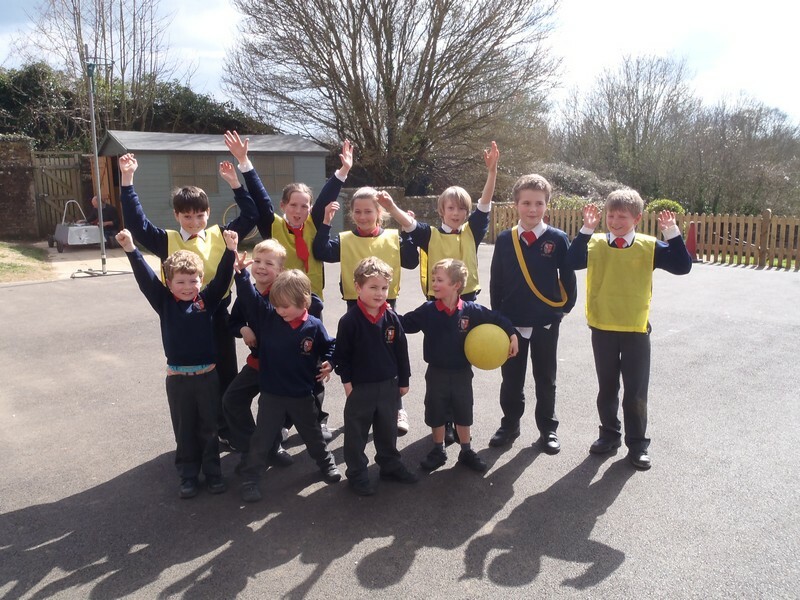 On the last day of the Spring term Miss Payne organised an Easter egg hunt in the playground for Reception class – they had a wonderful time searching high and low for all the eggs that had been so well hidden. 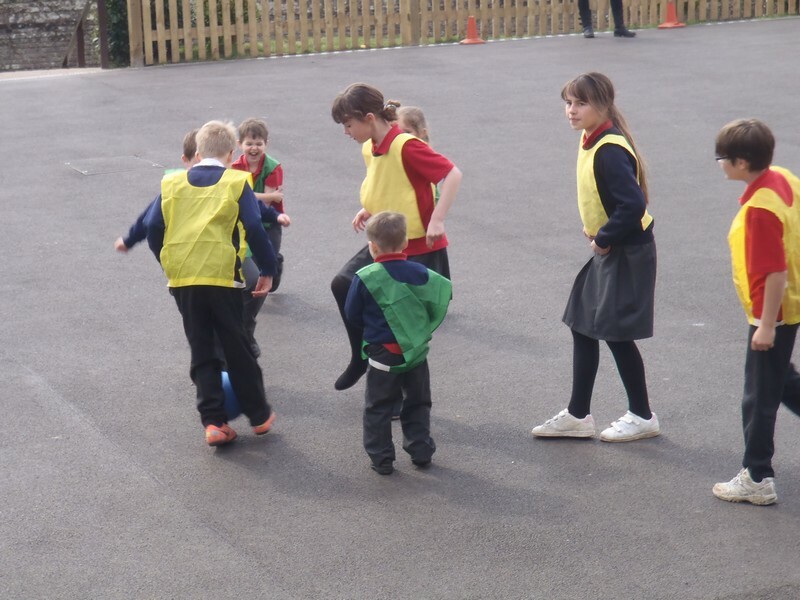 During Fairtrade fortnight last term it was decided to hold a football match between Years R and 6 in order to highlight inequality. 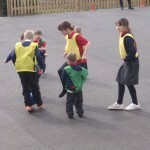 The match was held on the afternoon of Friday 19 April. 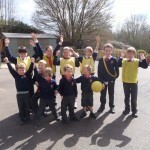 Watched by the whole school the Reception children put up a valiant fight but Year 6 emerged victorious! 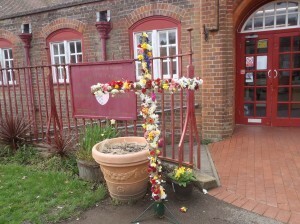 On 19th April we celebrated the Mass of the Risen Lord. 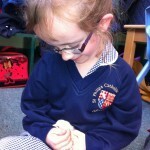 As usual this was a lovely service attended by a number of parents and grandparents. 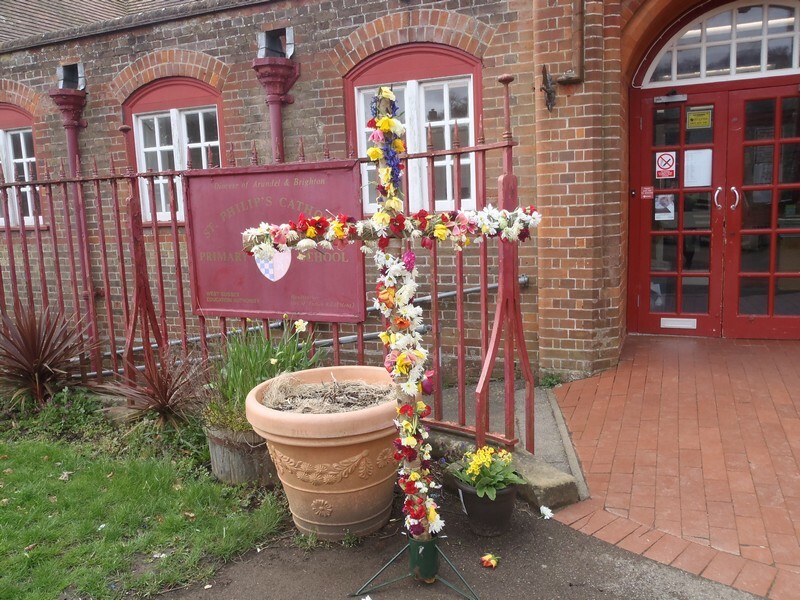 Thank you to everyone who donated flowers for the cross.